BJ has started the ball rolling for 2010. What do you think? Here is another choice, sleeping fewer folks and with a full count, comes to $250 per person weekly, plus food, air, etc. Just one of my early searches for places on Cozumel. The low season, which is when we do it, with taxes and such puts us at about $300 each for a week plus food and drink which might be $50 per person. Last time I checked, the airfares from San Francisco to Cancun via American were anywhere from $310 to $400 round trip. There are airconditioned buses from Cancun airport directly to Playa del Carmen. The bus station is about a block from the ferry to Cozumel. As you get off the ferry at Cozumel there are cabs to take you where you want to go. My preference would be two weeks at a place on Cozumel, allowing everyone to get out and take day trips to Tulum and Coba and Cancun City. Two weeks also provides more bang for the buck spent on the airfare. Two weeks there at $350 per week for the house and $400 for airfare comes to $1100. Figure $1200 for cabs and buses. $300 for all other spending brings the grand total to $1500 for the two weeks or $1150 for one week. Buses run hourly from Playa del Carmen to everywhere and cost perhaps $5 to Cancun City. Bus to Belise cost $45. There are flights to Cuba from Cancun and the last time I went it cost $200 roundtrip to Havana. Naturally, a passport is necessary for travel to Mexicao and if we are thinking of this for the year of 2010, now is the time to make plans. 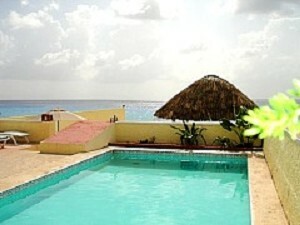 There are many more houses available on Cozumel, some sleeping fewer than the 15 for the above house. Lots to choose from. I like Sam’s idea of vacationing down there. I have been going to Cancun, not quite yearly, since 1987, and I love the area. Much to do and very relaxing. Still searching for Baltastine, our home.